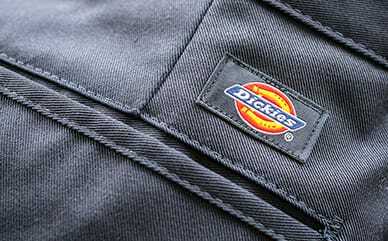 A vintage logo across the chest of Dickies Girl Juniors’ Vintage Logo Stripe Hoodie makes it a winner that is sure to standout. This cotton-blend fleece hoodie is durable enough to take on any day, while remaining soft and comfortable. The drawstring, rib cuffs and hem do a good job of keeping the cold air out so you remain warm.